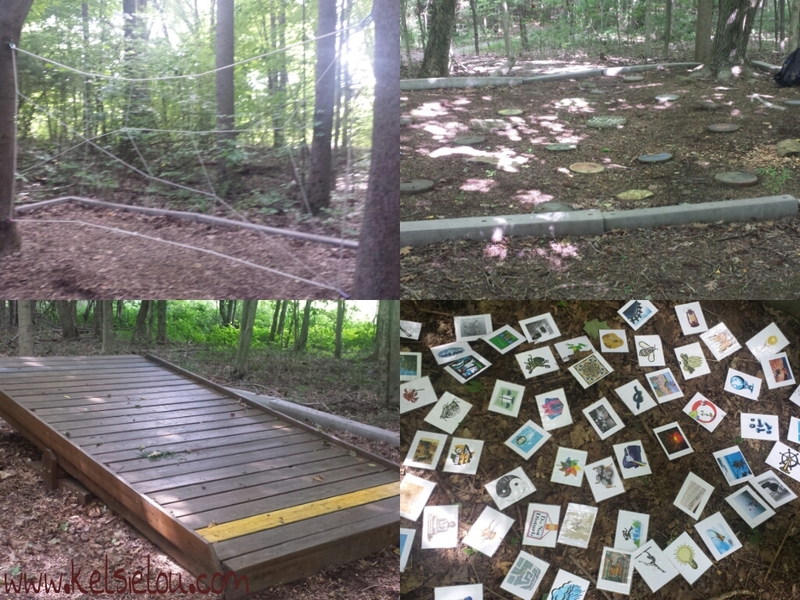 I met with co-workers for a team building retreat at Jefferson Memorial Forest. We participated in problem solving challenges such as: Radioactive Egg, Spider, Minefield, Traffic Jam and Balance. How many F’s can you find? The facilitator let us chose a card to describe our group and we selected pieces of a puzzle coming together. This young lady has done some local 5Ks such as Throo the Zoo and For the L of it. It goes to show how we move through life and never know how people or events can link back together. In addition to bonding with my next placement, I have been providing two weeks of respite care for a vivacious 12 yr old. I consider “J” as family. She is so easy to get along with and calls my parents Nana and Papaw. It’s been a team effort to channel her energy into structured activities with my work and training schedule. Her request for 4th of July was going to the park and out to eat. Wishes granted. “J” walked up the ramp of the Big 4 Bridge and was leary about the safety of crossing towards Indiana. She overcame her fears and completed the walk. We visited the replica Vietnam Veterans Memorial and other Vietnam War artifacts on the Great Lawn. “J” couldn’t wait to tell my Dad what she saw. 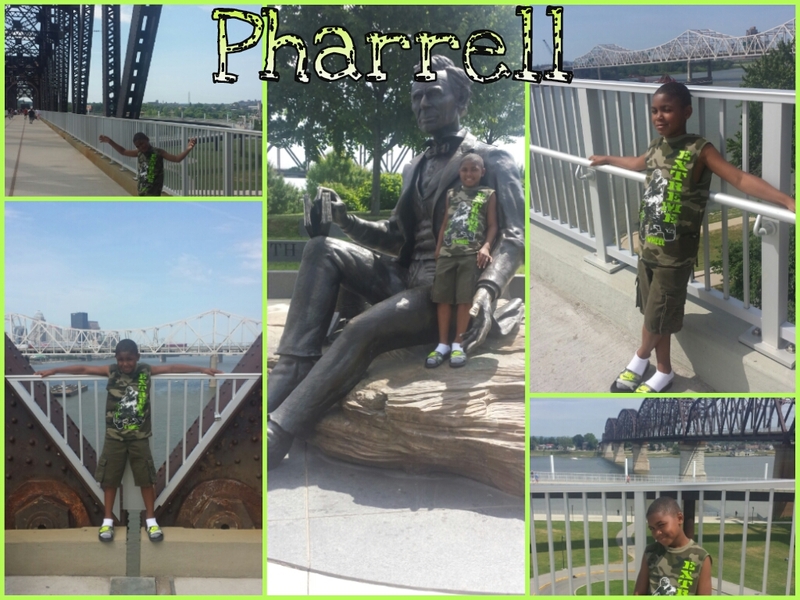 Next, I received a call that my nephew Pharrell was in town for a month long visit. I treated everyone to turkey ribs at this place called Shack In The Back in Fairdale. I highly recommend this healthy and tasty alternative to pork ribs. The all white meat is actually a shoulder cut, not a rib bone. The night ended with fireworks and thoughts of my Saturday long run. The running group was scattered with individual holiday needs so I decided to run solo dolo. I looped the hills of Cherokee Park four times with a half mile detour to get my full 10 miles. I averaged an 8:24 pace. #1. The time it takes to chew. #2. The skins getting stuck in my teeth and being a distraction. #3. The amount of water to wash them down. One thing that is working for me is consistency with vegetable juicing. The extra veggie intake is quickening my recovery time. We jump started our day with a visit to “J’s” home church so she could interact with her family. Afterwards, we made another hike across the bridge and stopped at the Abe Lincoln statue. 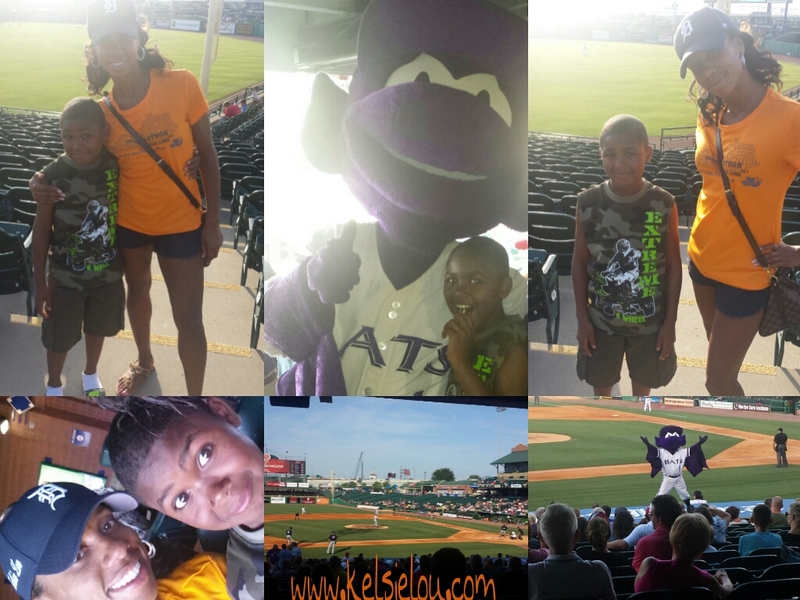 Next, we took a dip in the pool, and ended the weekend with a Bats vs. Toledo Hens game. “J” took the cutest photos, but to protect her privacy she will keep for personal use. 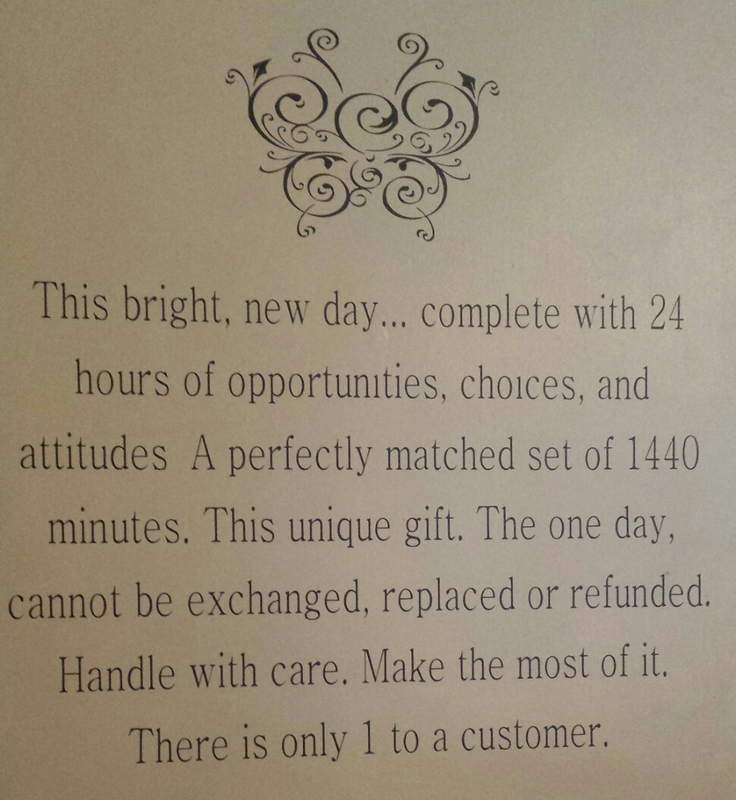 ● It takes time and patience. ● Start with the border and set boundaries. ● It’s OK to take a break when you get frustrated. ● If it doesn’t fit, don’t force it. “J” will return to her permanent foster family in a few days and I will surely miss her until they need respite again. For now, I can enjoy the completion of another puzzle and look forward to the next! This entry was posted in family, fitness, Louisville, marathon, running and tagged Jefferson Memorial Forest, long run fuel, shack in the back, Turkey ribs. Bookmark the permalink. I was rooting for the Mud Hens since they are affiliated with the Detroit Tigers. There were several Old English Ds in the crowd. It sounds like you had a lovely and fun weekend and I just think you are so wonderful for taking the time to spend with J…even though she is your family at this point, it really takes a special kind of wonderful person to reach out and get involved like that. J is so lucky to have you and it sounds like you are lucky to have her too! You are right…she has definitely been a blessing to me and my family. I’m confident that J and I will cross paths again, and we will pick up right where we left off. Love the jigsaw puzzle message! I like the last point the best! I’ve always had the belief that it’s our duty as adults to love and nuture our little ones. They are our future and will lead by example. Let us as adults set good examples for them to follow! So true. Consistency is the key! You are one of the most giving and wonderful people I have ever met. Your outpouring of patience and love to others is fantastic. You are more than an inspiration as a runner, you are an inspiration in life too. Proud to call you one of my good friends! I cannot take all the credit. Growing up I saw my Aunt Joy take care of medically fragile children while raising her two biological sons. It was nothing for my Mom to open up our home to her students in times of need. So when someone brought the idea to me about being a foster parent it was second nature to take on that role. I plan to continue helping whether or not I have children of my own. The more, the merrier is how I see it!